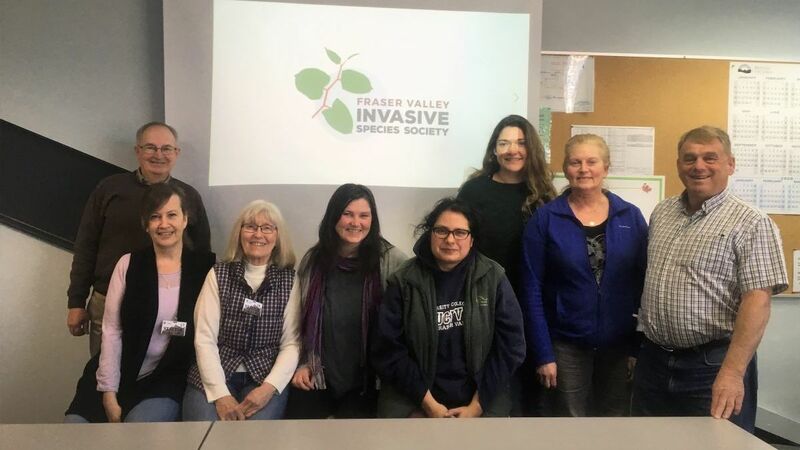 Invasive mussels are extremely damaging invasive species that we do not want in the Fraser Valley! Zebra (Dreissena polymorpha) and Quagga (Dreissena rostriformis bugensis) mussels grow in thick colonies that take over almost any surface, like watercraft, piers, boat motors, etc. They are not established in BC lakes... yet, but if they arrive, they can clog pipes, damage water intake systems, and alter food webs, causing substantial economic and environmental damage. Both adult and larvae of invasive mussels can survive for several weeks on watercraft and gear, such as boats, kayaks, even fishing equipment. Adult mussels can survive if left in cool, moist environments, and the microscopic free-swimming larvae (veligers) can survive in any standing water. This makes them easily transported over long distances. Protect our lakes, don’t let any invasive mussels hitchhike and spread! 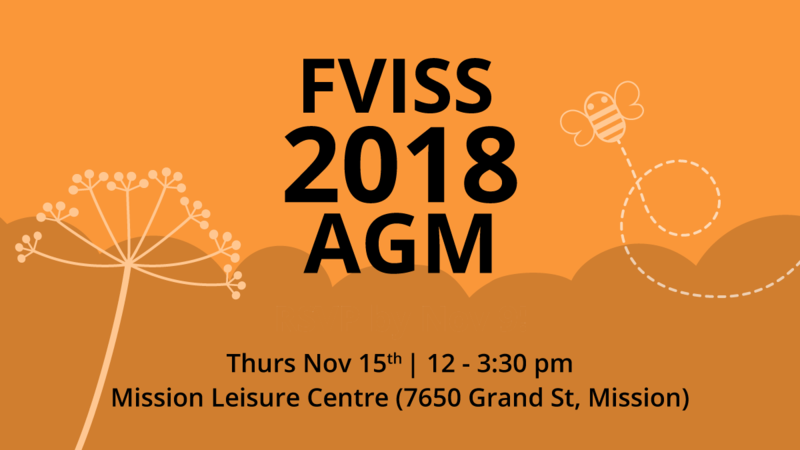 Since June of 2018, the FVISS has partnered with the Invasive Species Council of Metro Vancouver (ISCMV) to monitor lakes around the Lower Mainland. Collectively, we have been monitoring Cultus Lake, Harrison Lake, and Pitt Lake for invasive mussels. During sampling, we follow the BC Dreissenid Mussel Lake Monitoring Field Protocol (2018). This project is being funded by BC's Ministry of Environment and Climate Change Strategy and the Habitat Conservation Trust Foundation (HCTF). 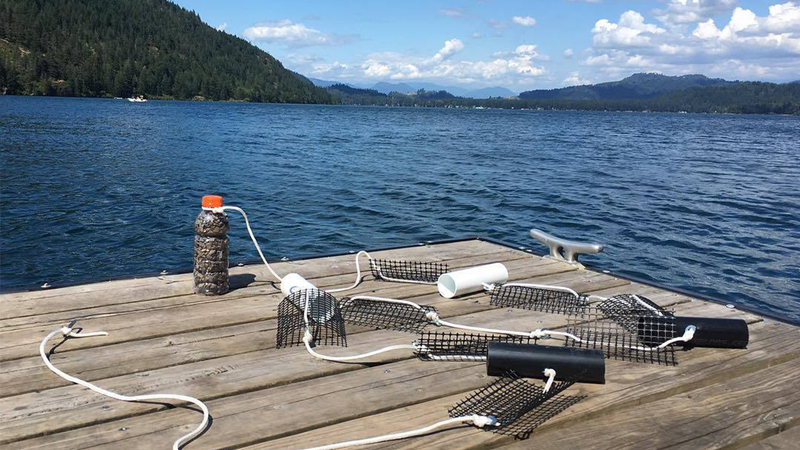 We have built substrate samplers using PVC piping, rpe, and plastic mesh - these items are left in the lake throughout the summer to allow any adult invasive mussels to attach. This allows us to determine whether adult mussels are present in the water body. We have attached these samplers in areas of high boater activity, such as boat launchs and docks. We also collect water quality data and water samples to monitor for any larvae/veligers in the water. This is done by using plankton nets, again in areas of high boater activity. These water samplers are sent to a lab to test for any veligers. 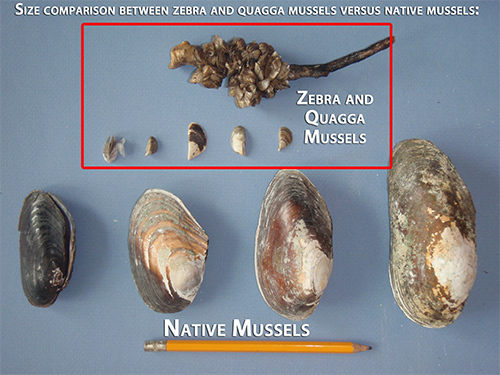 If evidence of mussels is found, then the steps outlined in the Zebra and Quagga Mussel Early Detection and Rapid Response Plan would be followed. When leaving any water body, clean drain dry your boat to ensure that you do not have any hitchhiking invasive mussels that may spread to the next lake you visit. Inspect your boat and remove any mud and dirt and other particles that may be hiding in small gaps and crevices, such as pump fittings or around the motor housing. Drain any water so there is no standing water, including from live wells, pipes, water pumps, etc. Finally, dry wet areas of the vessel to minimize risk of contamination. Do your part and protect our lakes! If you are traveling and moving your watercraft, you must stop and report to all invasive mussel inspection stations. Failure to stop could result in fines or tickets. Watercraft includes: motorboats, sailboats, kayaks, canoes, and paddleboards. In the Fraser Valley, there is one station located on Highway 1 near Laidlaw. Inspectors are from the BC Conservation Officer Service, and are trained to inspect your watercraft for invasive mussels, and decontaminate if any are found.